Helmuth Plessner, a leading proponent of “philosophical anthropology”, is most strongly identified in my mind with the argument that one of our greatest human assets is our “non-specialization”. Plessner was a member of the Weimar School of German philosophers active between the Great Wars. [As a Jewish scholar, he fled to Great Britain in the advent of WWII.] His appreciation of the special adaptability of we humans was of course enriched and stimulated by philosophical antecedents, and paralleled and followed by other philosophers and social observers with an existential bent who argued that while we undeniably all expressed elementary human traits shared by all other con-specifics, we substantially create our Self in wonderfully elaborated ways through our experiences, across the span of our lifetimes. On the other hand, in my view Plessner erroneously distinguished humans from animals by arguing that humans transcend their “outer self” (which all animals share) to develop an “inner self” (much more richly if not exclusively in place in them than in animals) within which we humans free up our perceptions, experiences and expressions for operations in a higher plane of thought and invention. I personally believe that we have substantially greater—but not fundamentally new or different—powers. I believe that the plastic progression in the development of our special human abilities stems in large part from the far richer symbolic labeling that comes from the multiple modes (reception, production, writing, reading, representational math, etc.) of language—which also contribute to a far more elaborate and extensive basis for especially strong and elaborated Self-reference. [The reader understands, of course, that my believing should be distinguished from my knowing, and that many thousands of esteemed scholars have wrestled with these greatest of questions.] Language provided our primate brains with the ability to attach multiple forms (aural, written, pictorial, etc.) of complexly cross-associated symbolic labels to the things—and the relationships, motions, and actions of the things in the world—which confers GREAT neurological associational power for our brain. Our primate ancestors and other fellow mammals (and, indeed, humans in their earlier history when culture was a-building) had their associations limited to “what goes with what” in much simpler intra-modal and cross-modal terms. Furthermore, I believe that the ‘great leap forward’ in cultural development over the past 4-5 hundred year epoch has been greatly contributed to by the neurological advantages attributable to near-universal reading in human populations—which, as I’ll point out later, is all a strictly modern invention.Behavioral and especially theoretical studies largely supporting computer search strategies have shown that the multiple ways that we definitively label the things of the world synergize brain processes that underlie the refined representation of information that is the basis of recognition and categorization (see, as a starting point into this diffuse literature, Massaro DW (2004) A framework for evaluation multimodal integration by humans and a role for embodied conversational agents. IN: Proc. of the 6th Int’l Conf. on multimodal Interfaces. ACM Press, State College PA); or, for another highly-readable perspective about the probable “search engine” (recurrently predictive) operations of the brain, read On Intelligence, by Jeff Hawkins.Our long childhoods and the extended parenting epoch for we humans also greatly advanced our capacity for didaction and mentorship in the ways that support cultural continuity and progression. An erect posture that freed our hands for tool use was also a tremendously important second step forward for we Homo sapiens. For a perspective about its contribution, see Mountcastle V (2005) The Sensory Hand, Harvard U Press, Cambridge MA; or for broader and more culturally focused arguments, Wilson FR (1998) The Hand, Vintage Books, New York.One of the most important antecedents of the Philosophical Anthropologists was the work of William James. Every modern philosopher and brain-oriented scientist owes a large debt to (in my view) the greatest brain-scientist-informed philosopher of the 19th and early 20th Century—and every serious student of brain plasticity should read James’ great treatise, Principles of Psychology. With its publication, in one astounding stroke, James founded the sub-discipline of physiological psychology—the first great step in bringing behavior as it accounts for the weft and warp or our Personhoods into the brain. Modern neurology and psychology does not affirm every conclusion and nuance of his brilliant analysis—but it HAS affirmed James’ remarkable, trenchant insights into how the brain actually operates.James also wrote a wonderful short volume in which he attempted to explain to schoolteachers how his view of the brain and human psychology should guide their teaching strategies. 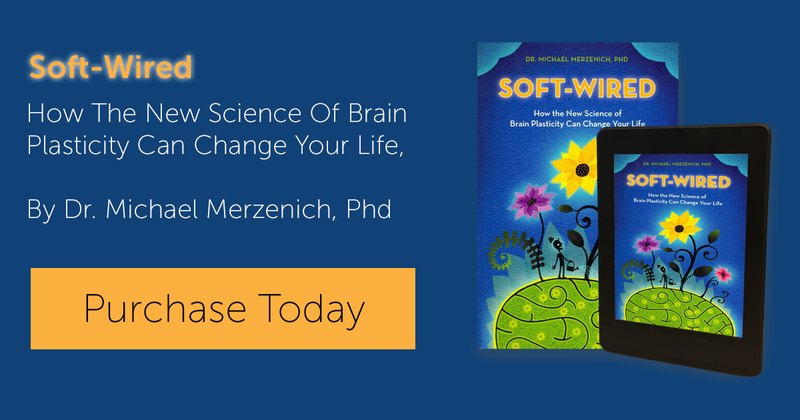 This book specifically focuses on issues related to brain plasticity, because it was all about learning directed toward establishing “brain power” in children via school. His little primer for teachers is one of my favorite historical books translating science for society—and much of his wisdom is presented in a different (modern; science-confirmed) form in the later chapters of THIS book. I have a copy that was wonderfully annotated in the margins by a woman who obviously took the book to heart, in doing her best to apply Jamesian principles to help children under her charge. See James’ Talks To Teachers On Psychology (1899). A Yale psychiatrist and scholar (and friend) Bruce Wexler, has an interesting take on how brain plasticity has contributed to cultural evolution. See Wexler BE, The Brain And Culture: Neurobiology, Ideology, and Social Change (2008). Russian study of the taming of foxes by selective breeding, which resulted in the development of a docile, human-friendly dog-like fox through a relatively short course of selective breeding (e.g., see Trut L, Early Canid domestication; the farm-fox experiment. Amer Scientist 87:160 (1999); Lindberg J et al., Selection for tameness has changed brain gene expression in silver foxes. Current Biol 15:915. )We also know that at least some experiences of the mother and family (e.g., related to stress or anxiety or feeding) can impact genetic expression of their offspring. For example, see Tarantino L M et al., Using animal models to disentangle the role of genetic, epigenetic and environmental influences on behavioral outcomes associated with maternal anxiety and depression. Front Psychiatry 2:44, 2011; Zhang S et al., Periconceptional nutrition and the early programming of a life of obesity or adversity. Prog Biphys Mol Biol 106:307, 2010. These Lamarckian effects are presumably primarily one-generational phenomena, not carried forward (except by a duplication of maternal behaviors by daughters) to the next. On the other hand, relatively stable environmental progressions (cultural changes) CAN be expected to relatively predictably impact epigenetics and thereby evolve behavioral expressions in human populations—for good or for ill. The magnitude of such impacts are currently ill-defined.Overall, genetic changes in human populations must assuredly have occurred on some scale in some domains across the 200,000-year course of Homo sapiens history, with those changes emerging in human populations over relatively long time epochs. On the other hand, only limited impacts on human behavior can be attributed to modifications in human genetics over the past several thousand (esp. the past several hundred) years, when cultural changes and specific human “specialization” has literally exploded in elaboration and complexity, driven by specialized tool use development and by new organized systems of analysis and thought across this narrow, recent epoch. The predominant forces behind that explosion cannot be genetic progression: In the author’s view, our brain plasticity, the advance in modern media-related abilities which contribute to our growth of associational brain powers, and an increasingly broad and stable and progressively more globalized cultural platform that supports this phenomenally rapid “advance” must be given primary credit. Any one of thousands of possible examples of recently emergent technologies/analytical tools and systems could have been provided to the reader. To cite just one of major significance that you probably haven’t thought much about that I have mentioned above: I once heard the Harvard psychologist Howard Gardner say that “universal reading was invented by Guttenberg”, because before the printing press, only a handful of extraordinary priests, scholars and rulers mastered this complex skill (i.e., created within themselves, by neuro-plastic changes achieved via training, a personal reading brain). A crucial role was also played by a 17th Century Swedish king (Charles XI) who decreed that all children in his realm be taught to read so they could read a catechism. Of course this grand experiment in teaching every kid to read almost immediately resulted in the ‘discovery’ of dyslexia. The Swedish Crown held the local ministers responsible for reading; children who did not succeed were deemed second-class citizens and forbidden to marry. [We’re not much more civilized. We often seem to do our best, in a hundred different ways, to make sure that most of our failed readers just feel a deep sense of personal shame about it. Fortunately for the citizens of Sweden, prejudice against non-readers and their pastors was later ameliorated by the long-running history of dyslexia in the Swedish royal family. ]I personally spend about half of my waking hours reading or writing, making a good use of a “reading brain” that only the priests and a few scholars and government advisors had in the world 500 years ago—because NO ONE has a reading brain until they learn to read.For a deeper understanding of how the requirement of universal reading has changed our human societies and richly added to human advance and achievement—and stress and turmoil—see David Boulton’s brilliant “Children of the Code” www.childrenofthecode.orgA main point in this chapter: If we tabulate how we spend the hours in our days across the span of our lives, we quickly discover that most of them are spent using tools or methods or strategies or being exposed to forms of media that have been “invented” over the past 3 or 4 or 5 hundred years—and, for a very large proportion of that daily time expenditure, over the past few decades. One reliable documentarian of time spent on screens is the Kaiser Family Foundation. See www.kff.org/entmedia/mh012010pkg.cfmFor seniors, see Stamatakis E et alia, Screen-based entertainment time, all-cause mortality, and cardiovascular events. 2011. www.content.onlinejacc.org/article.aspx?artileid=1144053 I’ve chosen to reference a paper that ties lots of screen viewing to dying earlier than you otherwise might expect to, just to further stimulate the informed reader to think about what the broader impacts of too much screen time might be having on you, or on the people that you love. I’ll later discuss how longevity is affected by spending all of those non-social, non-action hours sitting on your tush. For data on human life expectancy and forward projections of human longevity, see http://www.cdc.gov/nchs/data/hus/hus11.pdf#022 Note that according to CDC and NIA statistics, at your 65th birthday, you are expected to live an average of 19.2 years; if you’re 75, the average citizen hangs in there to celebrate their 87th birthday. Life expectancy estimates generally predict lifespans at your 65th birthday extending on the average to your 100th birthday somewhere in the middle or latter half of this Century. There are many scientific reports that have related aging and senescence to telomere length (the numbers of cell divisions, which shorten telomere length division by division) in animal and human tissues. A Nobel Prize recognizing the importance of this work with respect to the biological bases of longevity was awarded to my UCSF colleague Elizabeth Blackburn (with Carol Greider and Jack Szostak). Several hundred reviews have been written about the biological bases of longevity relating it to these and other processes over the past 20 years.One of the best-studied examples of a long-lived mammal is the naked mole rat, a burrowing mammal that is a major agricultural pest in the Middle East and Northern Africa. About the size of a large mouse, they live about 30 years—about 8 times longer than the mouse. Mole rats are hardly social; to the contrary, these tough little creatures lead solitary lifestyles in their underground tunnel systems. [I once asked an Israeli scientist to send me preserved specimens of naked mole rats to try to understand how they could survive natural predation over such a long life. I suspected that like a North American burrowing species, Aplodontia (the “mountain beaver”) they might have highly sensitive sub-sonic hearing by which they could detect and locate (and thereby avoid) a predator in their burrows. [See Merzenich MM et al (1973) Anatomical and physiological evidence for auditory specialization in the mountain beaver, Aplodontia rufa. Brain Res 58:331.] I thought I could confirm whether that was true or not by examination of their inner ears and brain. Alas, the mole rat specimens that were sent to me were not well preserved and I learned nothing from them. Needless to say, it’s pretty hard to import live mole rats into the United States because they are a great plague for farmers all across their native Near-Eastern and North African habitat. ]I introduce the naked mole rat into this discussion because it has been a key animal model providing us with another biological argument about factors that control longevity; the mole rat has extraordinary resistance to STRESS-induced changes and can and does endure continuous stress that would bring any other creature to its biological knees! See for example, Lewis KN et alia, Stress resistance in the naked mole rat: the bare essentials—a mini-review. Gerontology 58:453, 2012. To complete the circle in argument, an important recent line of research has demonstrated that severe stress in all of we other mammals accelerates cell divisions/telomere length shortening = life (see Epil ES et al, 2004, Accelerated telomere shortening in response to life stress. PNAS 101:17312 ).I’ll later argue that you need some stress and tension in your life to sustain yourself neurologically; but scientist have extensively argued—and provided solid biological confirmation—that too much stress accelerates your physical aging and shortens your life. Count up the telomeres and sum up the heavy stress, and you have two major terms for your longevity equation.Interestingly, the arguments that organismal aging/oxidative stress and senescent cells that have undergone many divisions are causal in aging have not been extended very far into studies of the aging brain. Most studies relate to the aging of your skin or innards. For a perspective about these biological processes and the brain itself, see Yeoman M et alia (2012) Insights into CNS aging from animal models of senescence. Nat Rev Neurosci 13:435. For a history of the axe, begin with www.en.wikipedia.org/wiki/AxeFor a more detailed treatment, see Eavrin C A, The Axe and Man (1998). For a description of progress in weaponry over the past 4000 years, where, it goes without saying, dramatic progress has been made, see Ford R et alia, Weapons: A Visual History of Arms and Armor. (2006). There are many studies documenting a decline in the rates of learning in old vs middle-aged or young animals and humans. It’s easy to find these references at www.pubmed.gov. We’ll talk about and reference several specific examples in later chapters. In my view, the decline in learning rates is overstated because down-regulated machinery controlling learning is itself plastic, and with appropriate training—as I’ll argue later—learning abilities can be substantially if not completely recovered in older brains.